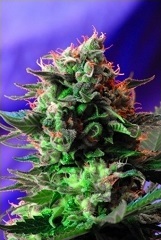 The breeders of Sweet Seeds are experienced in establishing sweet flavours in their strains. Their research team really brought sweetness to the next level with Crystal Candy. These buds feature flavours of sweet chewing gum and fruit candy, reminding smokers of their childhood when candy was the only desirable treat. Crystal Candy has a flowering time of 9 weeks and yields up to 500-650g/m². Cream Mandarine F1 Fast Version by Sweet Seeds is the feminized version of their hugely popular Cream Mandarine Auto.This Indica hybrid brings excellent citrus flavour, remarkable production and some serious potency on the table. She’s a fantastic strain not only because of her great taste but also if you want the ultimate in relaxation. The expert breeders at Sweet Seeds really went out of their way when they created Crystal Candy Auto. Their goal when making this autoflowering variety was no less than finding some of the most curious and most excellent sweet and fruity aromas and combine them to a strain with a mouth-watering taste as if she comes right out of a candy shop! 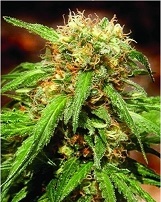 Sweet Seeds brings to us the CBD-rich variant of their S.A.D. Sweet Afgani Delicious S1. This strain doesn’t just shine with a truly delicious aroma. 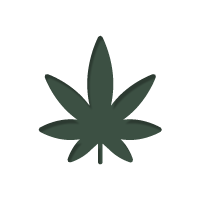 With a THC:CBD ratio that can range from a balanced 1:1 to 1:3, Sweet Afgani Delicious CBD has good therapeutic and medicinal properties that can help with the treatment of a variety of ailments with no or only a slight psychoactive effect. Crystal Candy is one of Sweet Seeds tastiest and most-popular strains. For this F1 Fast Version of this award-winning Legend, they paired her with a Sweet Special Auto. Get ready for an explosion of mouth-watering candy aromas and growth in record time! The strain producing copious amounts of aromatic resin, which makes her a great choice for extractions of the highest quality. Nothing less than some of the best American genetics make the backbone for Sweet Seeds’ latest CBD-rich strain. Enjoy the qualities of the famous Chem Dawg but loaded with ample amounts of CBD, for a wide range of applications. Chem Beyond Diesel CBD has a typical American flavour, which is intense, complex, fruity, and spicy making this herb highly enjoyable! Green Poison CBD is the CBD-rich version of one of Sweet Seeds’ most-popular and fastest strains, Green Poison. Thanks to her high CBD levels and only moderate THC levels, the strain offers a balanced effect and good therapeutic value. This indica hybrid also stands out due to her high production and very good yields. Honey Peach Auto CBD by Sweet Seeds is a medicinal cannabis strain with a balanced ratio of THC and CBD. With up to 12% CBD and 6-9% THC, users can take advantage of the therapeutic benefits of both, without experiencing significant psychoactive effects. This autoflowering strain is very easy to grow and provides you with aromatic medicine in a short 8 weeks from seed to harvest. Made from two specimens of Sweet Seeds’ Amnesia Haze elite clones, Sweet Amnesia Haze is a world-class Haze that doesn’t just deliver a spectacular high, flavour and aroma. She is one of the fastest Hazes that you can grow and rewards you with high yields of top bud in record time. Sweet Seeds took one of their most popular strains, the popular Black Jack, and crossed her with a CBD-rich Diesel to make this fine medicinal strain. She delivers an aromatic smoke, loaded with 9–17% of therapeutic CBD in a balanced ratio of 1:1 to 1:1,5 to her THC content. A great strain for all those who want the benefits of both, CBD and THC with their medicine! Sweet Seeds presents to us their new and improved version of their most appreciated autoflowering strain: Green Poison XL Auto. She is a tall version of Green Poison Auto with strong growth, more bud sites, and improved resin production. Get ready to harvest outstanding yields of sweet and delicious bud in record time! 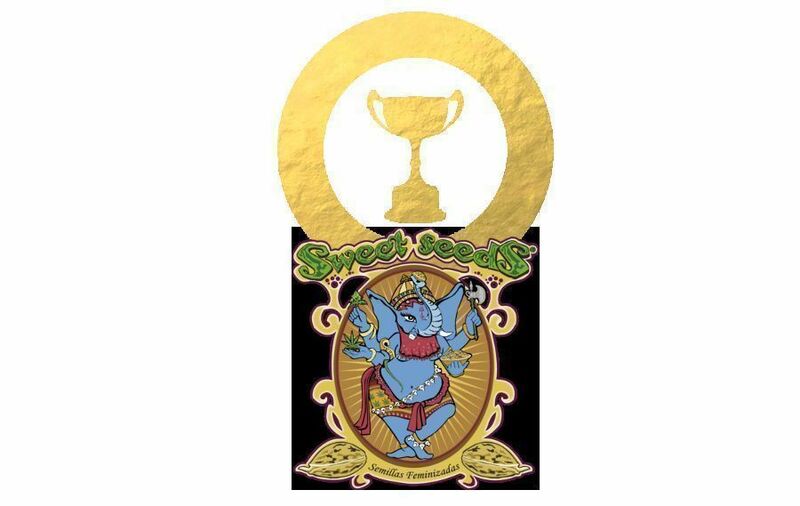 Sweet Seeds’ aromatic Ice Cool CBD doesn’t just have an intense mouth-watering, exquisite taste. A cannabinoid content of 9–13% CBD ensures a wide range of therapeutic uses for this beauty, while 5–12% of THC give you a mild buzz that you will enjoy. The very resinous strain is excellent for making concentrates as well. One of Sweet Seeds’ most appreciated strains, the popular Cream Caramel, is now available in a CBD-rich variety! Cream Caramel CBD, with a THC:CBD ratio between 1:1 and 1:2, delights medical and recreational users alike! 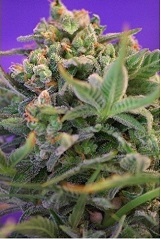 Good yields of mouth-wateringly sweet buds will reward your hard work come harvest time! 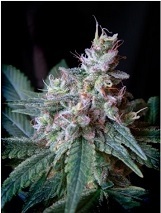 If you love the classic Skunk flavor, you will surely enjoy Sweet Skunk Auto by Sweet Seeds. It has the beloved thick musky and luscious taste with hints of spice. 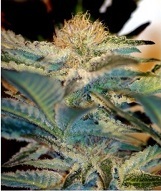 This feminized autoflowering strain is a tribute to this well-liked cannabis family. 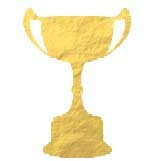 What the breeders from Sweet Seeds have done is a smart crossing between the great Early Skunk and Critical Mass Auto. The fruity Sweet Pure Auto CBD is Sweet Seeds’ first pure CBD strain, offering very high levels of CBD with almost no THC. Great for medicinal users, this strain is also a good choice for anyone who enjoys the non-psychoactive benefits of cannabis. 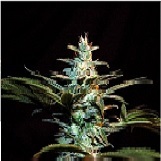 This easy and fast autoflowering strain scores with a rapid growth cycle and good yields. Big Devil XL Auto (feminized) by Sweet Seeds is a spectacular strain. This evil beauty with its heavenly effect reaches a height of 100-160cm, which makes her a really tall plant for an autoflowering strain. And the harvest is accordingly massive. Within only 9½ weeks it produces yields of up to 650g/m². Thick, dense buds with plenty of resin and a delightful aroma. With an eye to producing an earth and floral toned cannabis strain that still packed a punch Sweet Seeds has produced Indigo Berry Kush. A unique palate and powerful effect make this strain one to remember.